Chicken Farms in DC: Legal or Illegal? Maybe so… maybe not. Don’t rush out just yet to buy a chicken coop for your back patio. 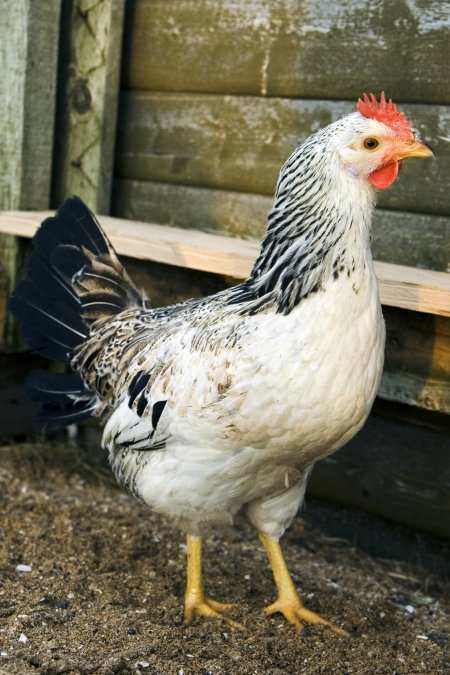 The question of whether we can raise domesticated chickens in DC as a hedge against total economic meltdown is not settled yet. Well. What did this mean? What chickens? Chickens in Washington? Has chicken farming become a problem that is bedeviling some Advisory Neighborhood Commission? Is this an issue pitting newly arrived country people against urban sophisticates? DC At-Large Councilmember Phil Mendelson is an important player when it comes to crime and public safety in D.C. The reason is simple: he is chair of the Council Committee on Public Safety & the Judiciary. Mayor Fenty’s Omnibus Crime Bill has to make it out of his committee. Our own Ward 2 Councilmember Jack Evans is on this committee and supports the Omnibus Crime Bill (councilmember for Borderstan). Mendelson’s office has announced that he will hold three community meetings to talk about crime-related concerns. The closest meeting, and the only one in Northwest, is at 6:30 p.m. on Monday, April 13 in Shaw at the Kennedy Recreation Center, 1401 7th Street NW. Note: See earlier Borderstan postings on the Omnibus Crime Bill: “Gang Stats from Crime Bill Hearing”; “March 18: Public Hearing on DC Omnibus Crime Bill”; “Omnibus Crime Bill Roundtable Recap”; and “Friday, Dec. 5: D.C. Council Hearing on Mayor’s Crime Bill”. You can also read Mayor Fenty’s Oct. 3, 2008, news release with his reasons on why he believes the bill is needed. April 1 Update: DC Parks and Recreation says that a June ribbon-cutting is scheduled for the opening of this new dog park. I have not heard anything new on the opening date other than “spring.” Anyone know anything more about a specific date? Thanks to WMATA’s recent release of transit information for software developers, DC is now part of Walk Score’s “Transit Time” maps. They show the spots you can reach in 15, 30 and 45 minutes by transit and walking. Update: it looks like this only includes Metrorail so far. Oddly, this particular article is not part of Washingtonian magazine’s online content. Go figure. Special thanks to Courtney (FabFeminist) and Luis for the site template and to Luis (One Photograph A Day) for all of his beautiful photographs. I love amaryllis flowers… one of my favorites. This one bloomed very very late and was a second stalk on a bulb; the first stalk bloomed in early February. I got a deal on these… it was a large box-pot with three bulbs that I purchased at an After-Christmas sale at Garden District. Saturday PM: Attempted Rooftop Burglary, 1600-Block Swann St. There was another attempt at a burglary-via-rooftop… on Saturday at 3:45 p.m. on the 1600-block of Swann Street NW. Yes, broad daylight. Details below, followed by safety tips from MPD. Please call the police whenever you observe suspicious activity in your community. From the MPD 2D listserv on Yahoo! Groups… these two robberies occurred in East Dupont very early on the morning of Saturday, March 28. Please note the night-time street safety tips from MPD posted after the details of the two robberies below the fold. Image: Washington City Paper Web site. The Washington City Paper’s Best of D.C. awards were announced this past week and I decided to go through every category to see what Borderstan businesses and entities had won awards. Before starting, I figured that since we are such a small mini-hood, an autonomous region of the Dupont Circle and Logan Circle neighborhoods, that I would have to include neighboring and nearby winners. After all, our commercial strips are the north side of the 1400-block of P Street NW and the west side of 14th Street NW from P to S Streets. I was wrong. Businesses in our little enclave between 14th and 16th and P and S Streets NW did incredibly well in the City Paper competition: 10 businesses, one community-based organization, one locale and one individual (a bartender) made the list of favorites from the Readers’ Poll and City Paper Staff Picks. Several businesses were winners in more than one category. 14th Street NW, 15th Street NW, Bang & Olufsen, best DC bars and lounges, best DC restaurants, Best of D.C., Borderstan businesses, Cork and Fork, DC JCC, Flowers on 14th, Green Pets, Halo, HR-57, Miss Pixies, P Street NW, Rice, The Bike Rack, VIDA Fitness, Washington City Paper Best of D.C. According to the poll results–which are completely unscientific and unreliable–readers of Borderstan.com are not very religious at all, especially when compared to the American public. A large number of respondents do not believe in God or a supreme being, or are not sure. Only 22% of respondents said they were Christian, an extremely low number in an overwhelmingly Christian U.S. population. This year’s Artomatic is May 29 to July 5 at 55 M Street SE in the Capitol Riverfront neighborhood… on the Metro Green Line at Navy Yard. Registration is now open for artists who want to participate in Artomatic. Details below and at the Artomatic Web site. Earlier this month, Derek Willis twittered that the Metro Police Department had stripped crime incident narratives from its public data feed. Former District resident Ben Walsh noticed and decided to find out why. The reason? MPD manager of Internet communications Kaylin Castelli blames listserves. I saw this posting at dcist from March 19. There is link to video from WJLA-7 TV. Note that this attack happened several weeks ago and very close to home, at Rue 14 Boutique at 1803 14th Street NW (east side, just north of S Street). However, according to the video, a similar attack occurred recently at another 14th Street business. Anyone have any additional details about either attack? WJLA covers an assault and robbery committed by a group of teenage girls at the Rue 14 Boutique (1803 14th Street NW) a few weeks ago, noting that a similar crime happened at another business nearby earlier this week. They’ve got surveillance video of five young suspects who participated in a grab and run at Rue 14, with one of them staying behind to rough up the store owner while the others got away. Upsetting stuff. Luis saw this sign today… a gelato shop, Pitango Gelato, is coming “soon” to Borderstan in the Metropole building at 1451 P Street NW. The company is based in Baltimore and has multiple locations. I will be more than delighted to post photos of your dog: Just send them to me, PLEASE! In the meantime, here are some more photos of Lupe, our Border Collie–Cardigan Welsh Corgi cross. Luis took these black-and-white portraits following a portrait shoot for a client. He posed her on a bar stool and began clicking away. Tell me that Lupe is not one of the cutest dogs in Borderstan… go ahead… I double-dog dare you.